Dads, uncles, grandpas, brothers, father in laws- the entire masculine lot will love the rich earthy smell of this DIY Aftershave. They will also love the skin softening and soothing properties that come from the witch hazel and aloe vera gel. 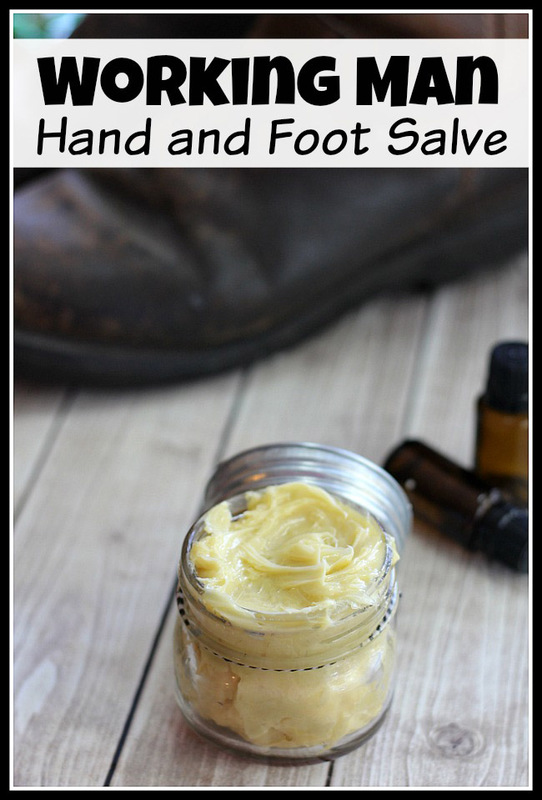 It is incredibly simple to make with just a few natural ingredients, including a quartet of woodsy smelling essential oils that make it even better than anything you can buy at the store! 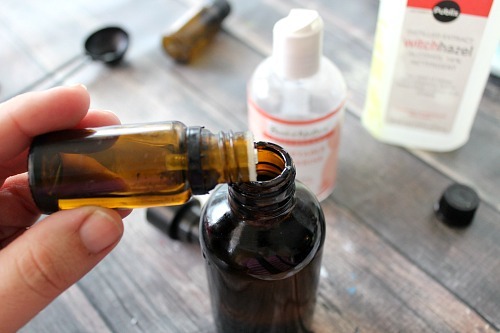 For the perfect gift for dad this Father’s Day, make this DIY Aftershave with Essential Oils! 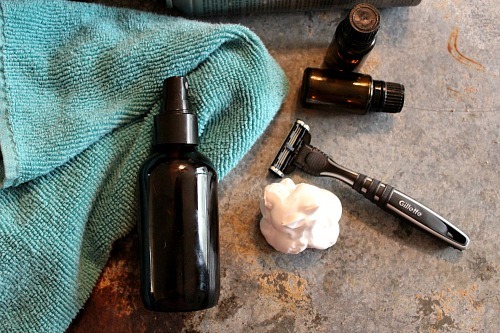 You might wonder, what makes an aftershave different from a facial moisturizer? The answer- antiseptic + astringent properties. The antiseptic properties are necessary to prevent any infection, and the astringent properties help calm the irritation that may result from shaving. 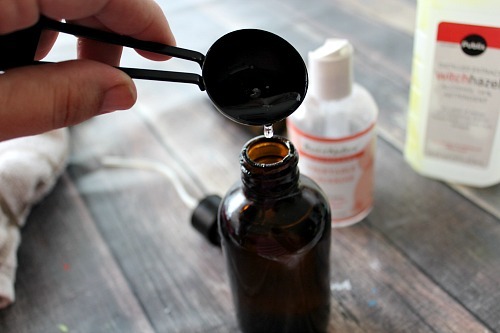 This DIY aftershave has both antiseptic and astringent properties thanks to the cedarwood essential oil. So this is a DIY Father’s Day gift that dad can really use! If you wanted to add something to your DIY aftershave gift, an old-fashioned badger hair brush shaving kit would be a very classy addition! 1. Pour and drop all the ingredients into the bottle (if necessary, use a small funnel or scoop). 2. Shake well to combine. Replace spray cap. You DIY aftershave is ready to gift to some lucky smooth faced guy! 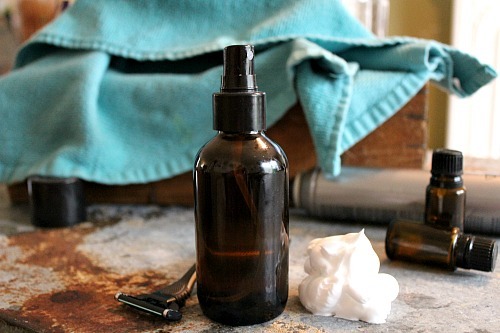 Just spritz a little bit on freshly shaved skin to soothe, moisturize, and add a masculine scent. Do you often give DIY gifts? What’s your favorite homemade gift you ever gave?